BAD NEWS FOR drivers: the average price of petrol and diesel has risen yet again this month – and there’s no sign of the prices dropping any time soon. The average cost of one litre of petrol has now hit 162.1 cent, an increase of 5c from last month. Meanwhile diesel has hit an average price of 157.7c, according to new figures from AA Ireland. Ireland has been particularly badly affected by the rising cost of oil worldwide. The jump in prices has been more acute in the past year but has been happening for some time. The average price of a litre of petrol has risen by almost 10 per cent since this time last year – and it’s risen by 56 per cent in the last three years. “This is obviously out of our control, but it affects us more than it affects many other countries,” said Conor Faughnan of AA Ireland. “We are in the Euro but we are also very high per capita oil users in Ireland. Our freight and almost all of our economy is highly dependent on fuel and fuel prices”. The increase has been attributed to government-imposed price increases in last December’s Budget, coupled with the rocketing price of oil due to uncertainty and turmoil in the middle east. Increased tensions between western countries and Mahmoud Ahmadinejad’s Iran, along with the Arab Spring uprisings, has led to investor fears over disruption to the oil supply, leading to the price constantly increasing every time it seems like it could become more difficult for the West to access the oil from the most oil-rich part of the globe. AA Ireland has called on the government to address high fuel taxes which it says has been a bad idea for Ireland given its dependency on fuel. Faughnan said that the high price of fuel causes hardship for consumers and is doing “considerable” damage to the economy. “These are very serious questions that urgently need to be addressed and the Government needs to listen,” said Faughnan. 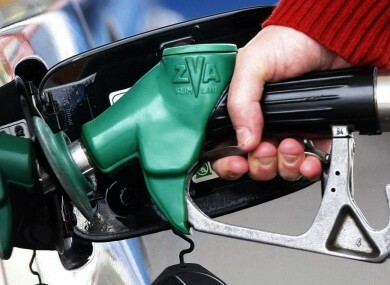 Email “Bad news for drivers: petrol and diesel prices hit record highs ”. Feedback on “Bad news for drivers: petrol and diesel prices hit record highs ”.